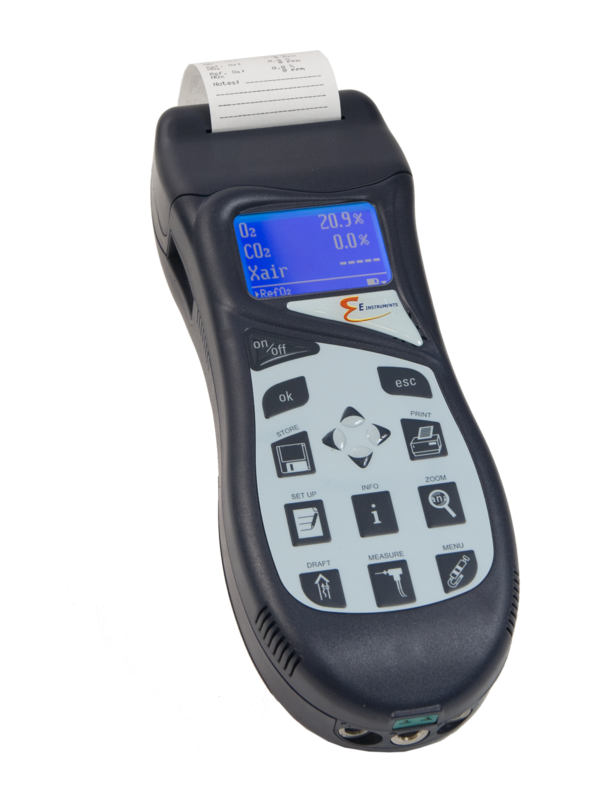 The E4400 is a portable flue gas analyser designed for emissions monitoring and maintenance and tuning of combustion processes. Its rugged design and True NOx capability makes the E4400 a suitable industrial analyser for boiler, engine, furnace and other combustion applications. The E4400 also includes: up to four gas sensors (O2, CO, NO, NO2, SO2, CxHy); built-in printer (non-thermal); Low NOx and True NOx capable; unbreakable metal hose connectors; temperature and pressure measurements; rechargeable lithium ion battery pack; Bluetooth wireless communication.